The steps extend 30 inches above floor level facilitating picking up to a height of 9 feet. Shelf edges keep the cargo firmly in place. 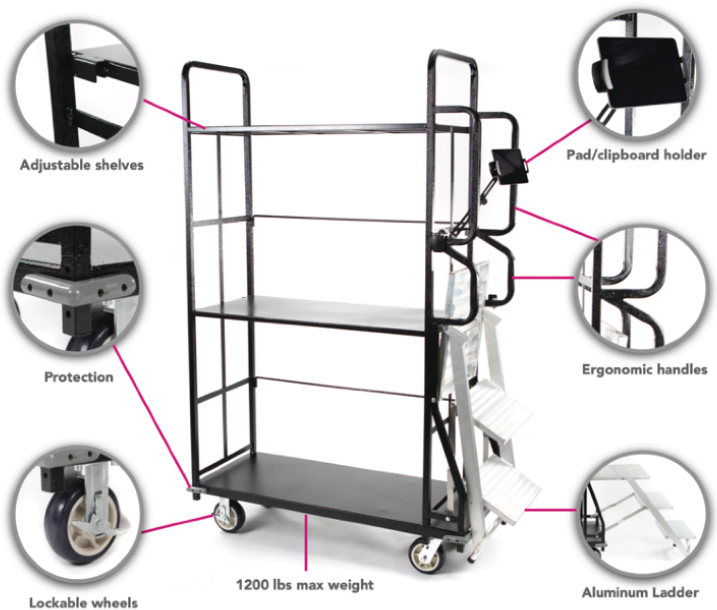 The chassis is made of heavy duty e-coated metal. All shelves are detachable. iPad holder is not included.